“My dream and mission has always been to find a new job and try to make a living from being a craftsman. Wood was already a well-known material to me so I wanted to test working with iron. 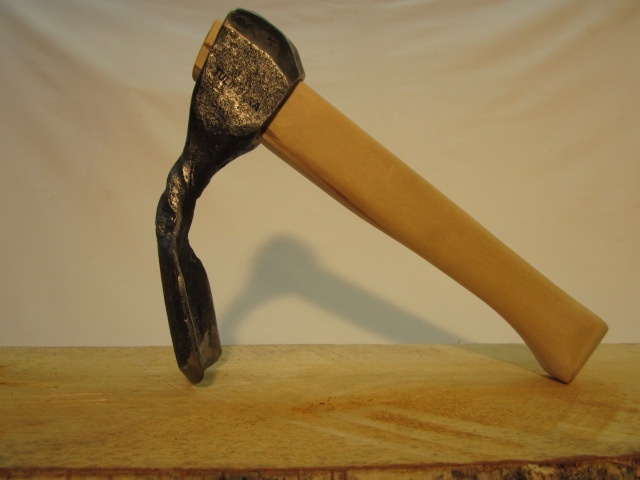 I started my blacksmithing career at weekend courses, the first of which was in 2009. Since then I knew I had found my way. 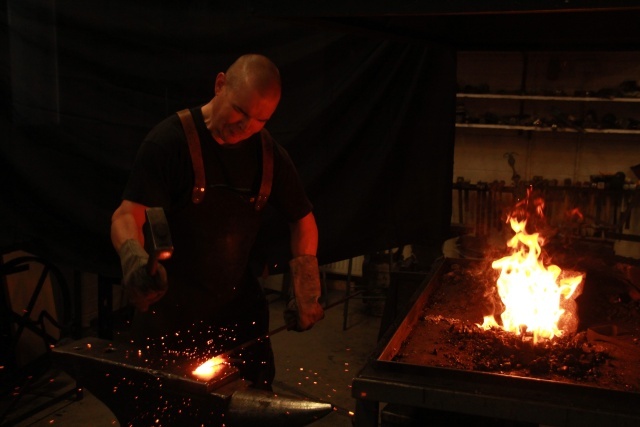 I also noticed that I needed to learn a lot more about blacksmithing. 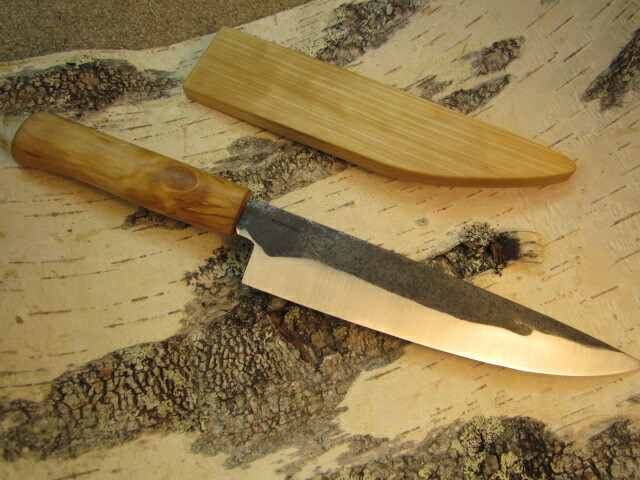 In summer 2011 I enrolled for a Finnish puukko course, until I was accepted for metal artisan education in Mikkeli. It took 2 years and I finally graduated in May 2013. I also made a total life style change in 2009. I had lost my work as sales leader in an IT company and so I decided to fulfill my long time dream to move from Helsinki to the country side. 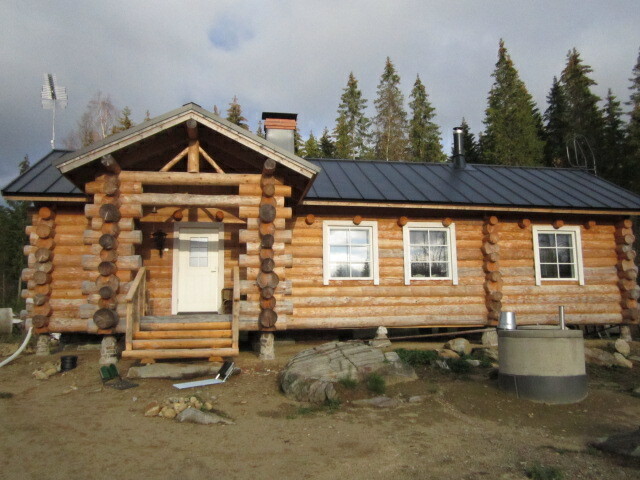 I bought a tree farm about 160 km north from Helsinki and built a log house from the woods of my own farm. Now I have also good possibilities to grow up organic food stuffs for me and to keep some domesticated animals, at the moment I have lambs and chickens. I also grow curly birch and other variety of woods. 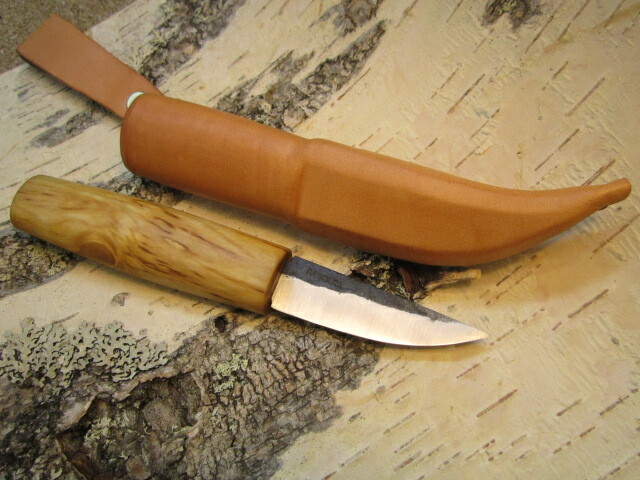 I want to use wood and metal in my products, but I also will use leather and birchbark, they all are very traditional materials in Finnish puukkos. 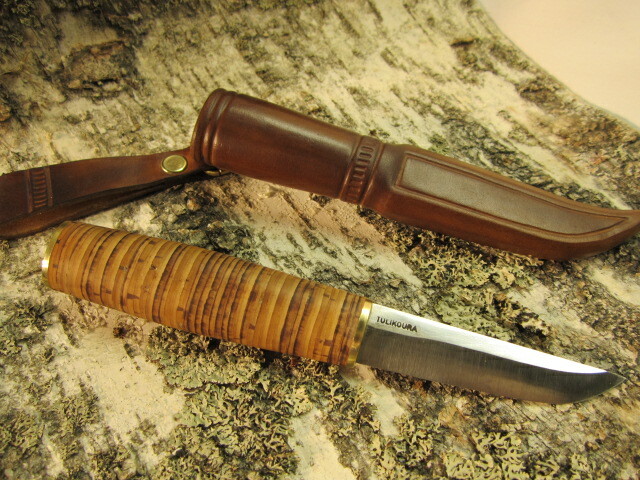 My target is to expand my puukko collection during next winter season and to boost marketing operations. I also want to launch a wood product collection during next year. The main raw materials will be curly birch, juniper and rowan. 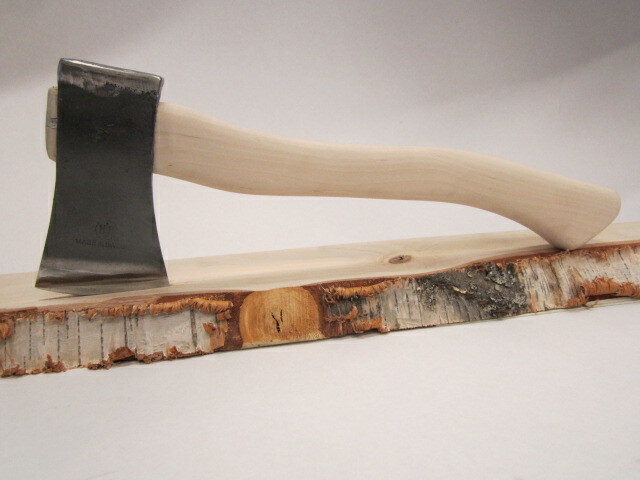 Refurbished Hultafors axe, sharpened and a new handle created. 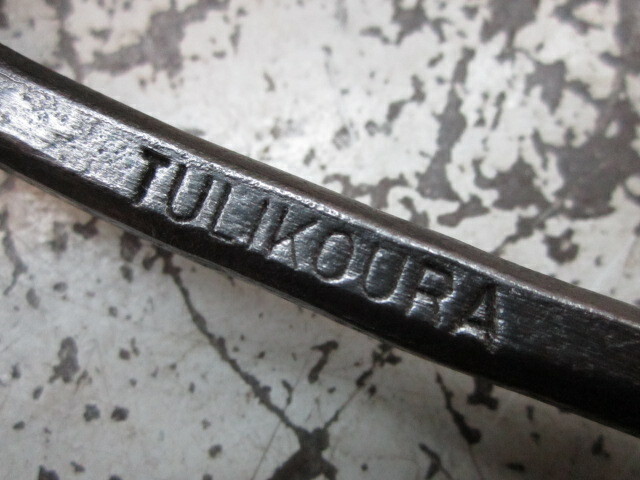 TULIKORA, the name of Rauno’s smithy. 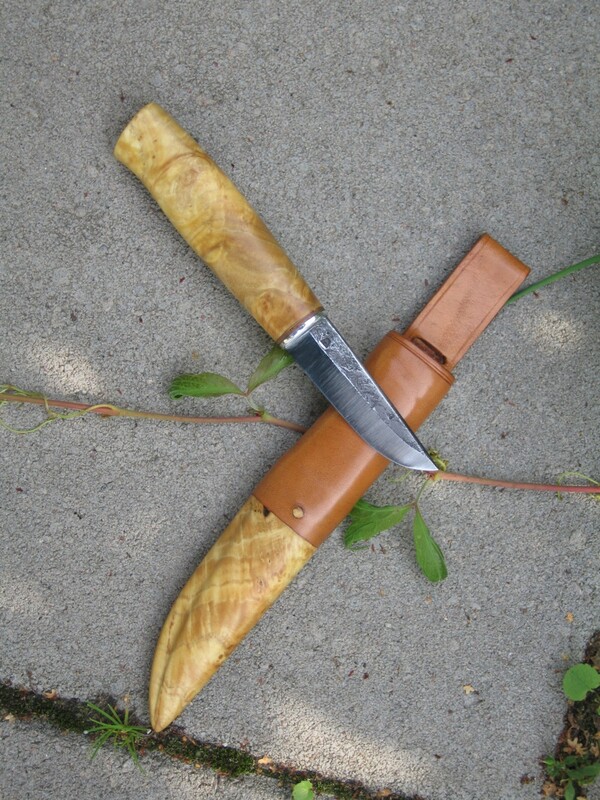 Telso, for carving. 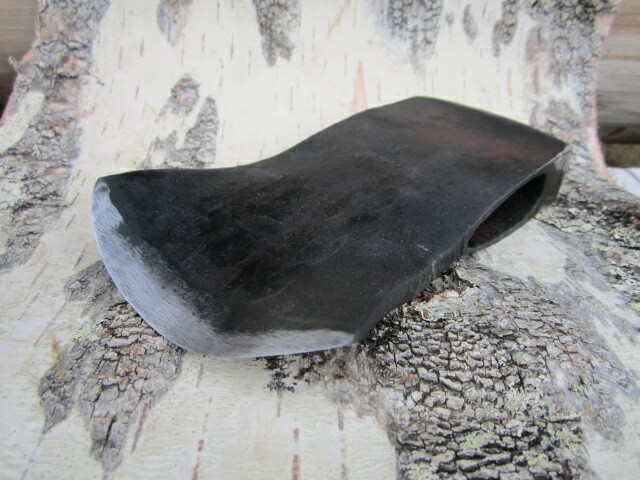 Made from an old Billnäs No 7 felling axe of steel. The home Rauno built at Hartola. 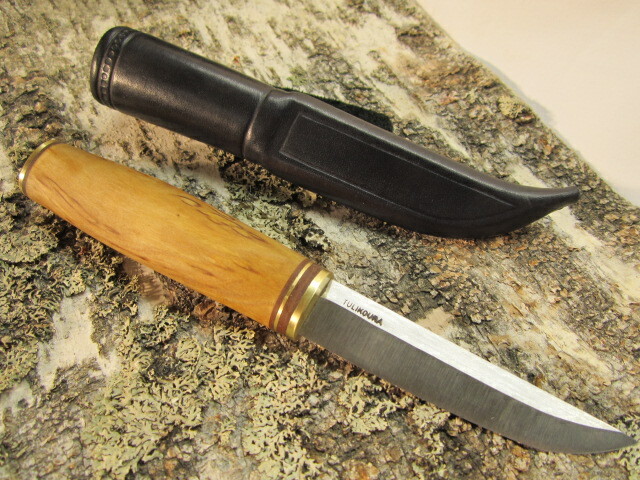 “His book is by far the most complete study on the history and development of the Finnish puukko. 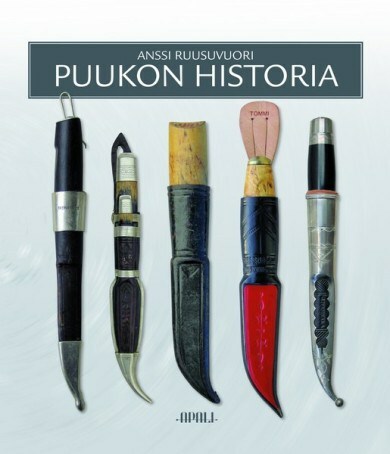 The book includes over 2000 color photos and shows an impressive array of local Finnish puukko models from the Iron Age to the modern times. 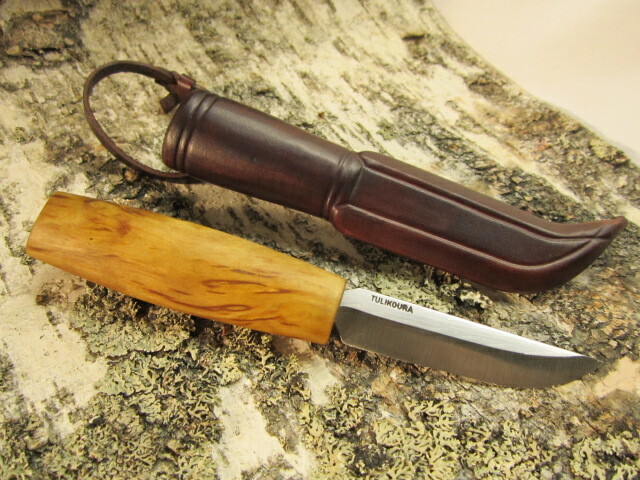 Several of the traditional puukko models included are presented here for the first time. The book is based on meticulous survey of several museum and private collections. 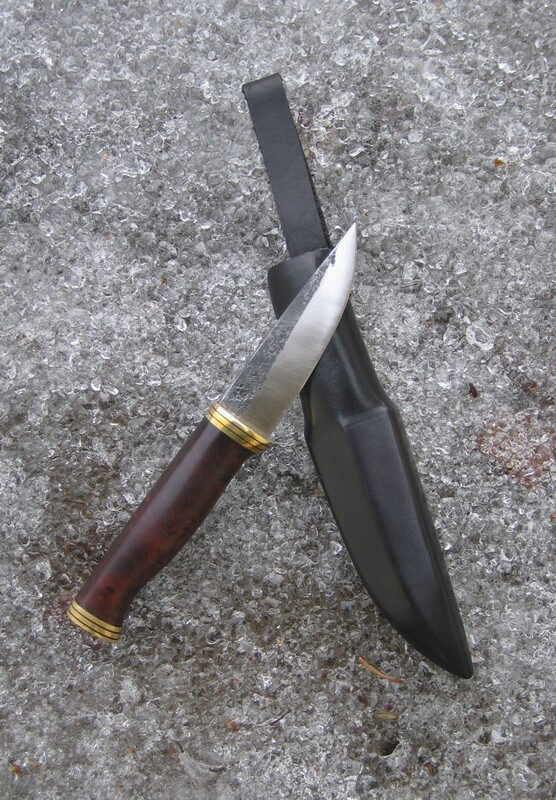 The most important part of the study is based upon the unique knife collection of National Museum of Finland, which has been in existence since the 1830’s, but has never been scientifically studied or published in print until now. The last part of the book contains a picture gallery where each knife is presented on a double page with high quality pictures from several different angles, a table with precise measurements, material data and additional information about the item. 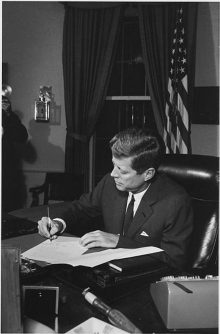 This English edition is otherwise similar by its content, but some of the less important double pages of the picture section have been left out to make the book more affordable. 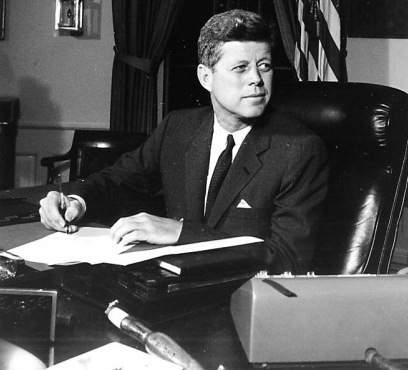 The English language version will include about 420 pages. 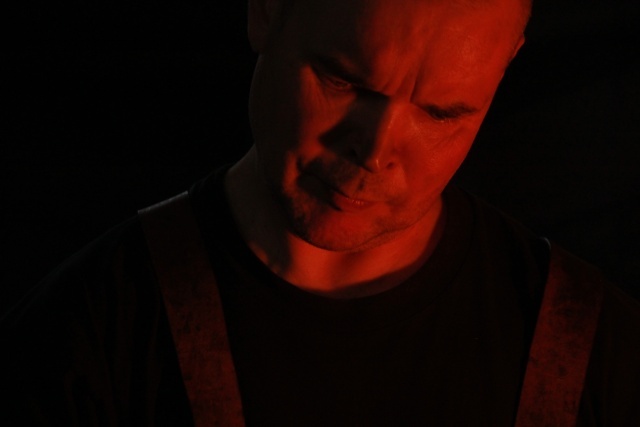 In the meantime, here is some very fine new work from Anssi Ruusuvuori who was featured in an earlier profile. 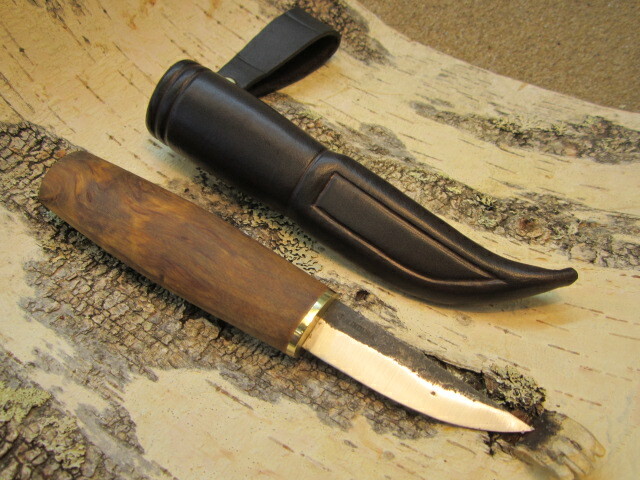 Birch root, dur-aluminum, bronze, leather, zone-hardened 1080 steel. 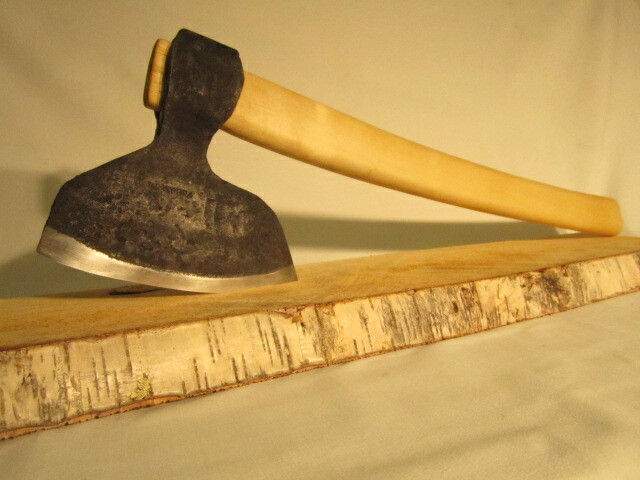 Ash burl, dur-aluminum, birch bark, leather, zone-hardened 1080 steel. 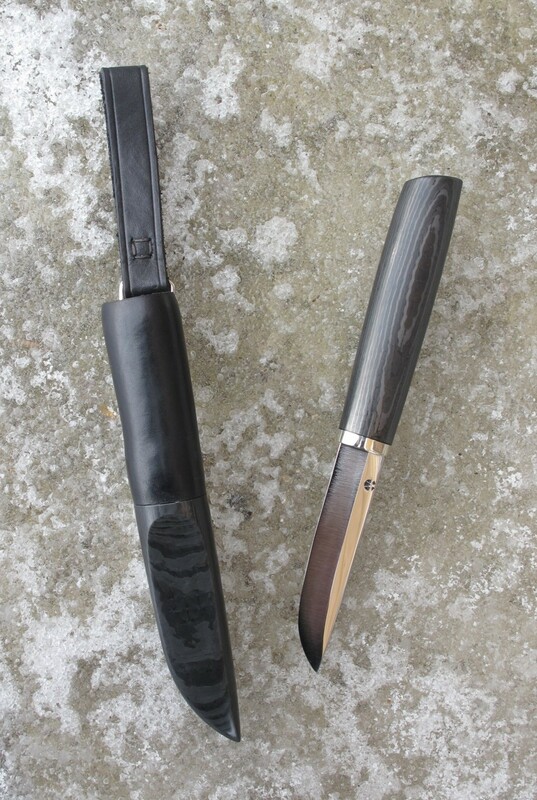 Carbon fiber, nickel silver, leather, zone-hardened 1080 steel. 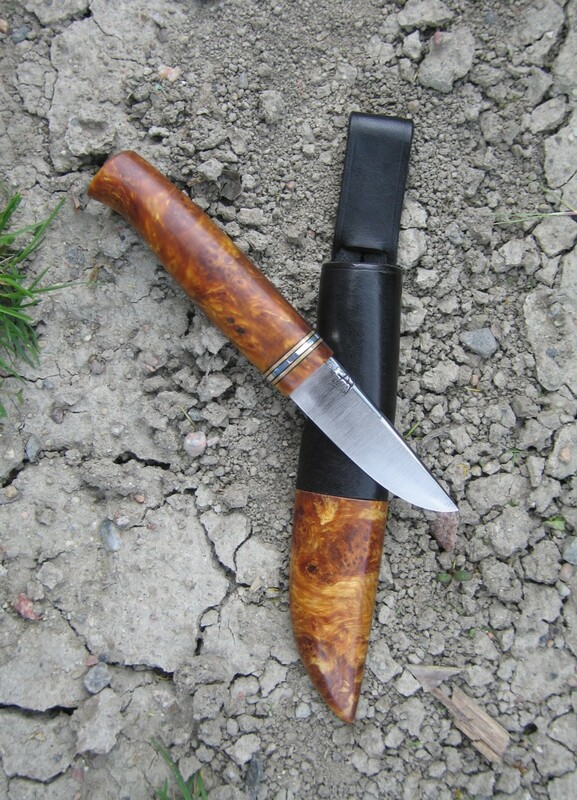 Black alder burl, nickel silver, leather, zone-hardened 1080 steel. 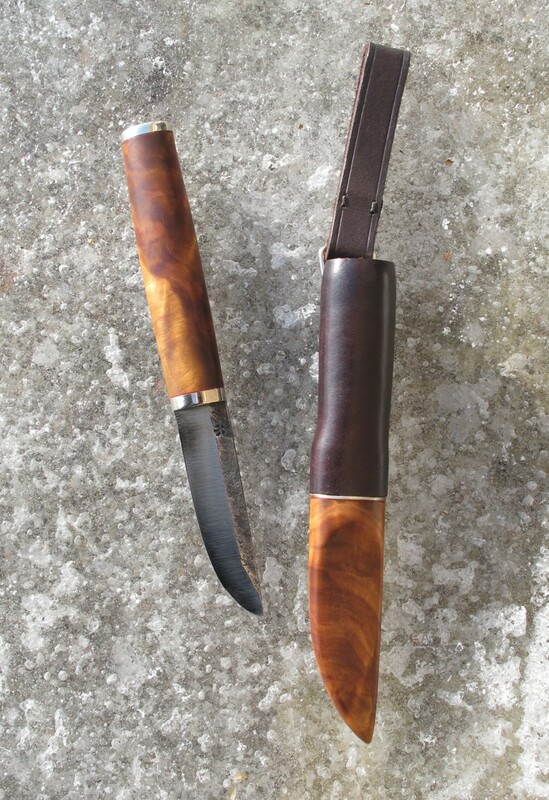 Vavona burl, brass, vulcanized fiber, leather, zone-hardened 1080 steel.